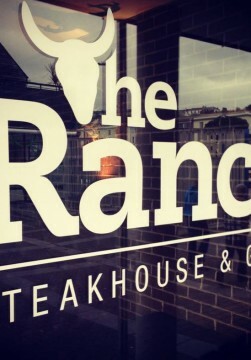 The team behind two of Falmouth's most successful and popular restaurants bring you The Ranch, a new steakhouse and grill. Welcome to The Ranch. 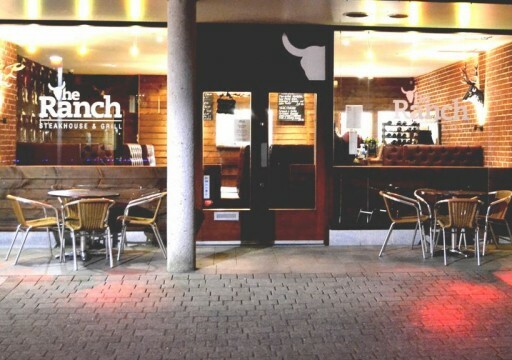 The team behind two of Falmouth’s most successful and popular restaurants bring you The Ranch, a new steakhouse and grill. Situated next to our sister restaurants, The Shed and The Shack, in lively Events Square, we aim for The Ranch to be the town’s premier meat restaurant. 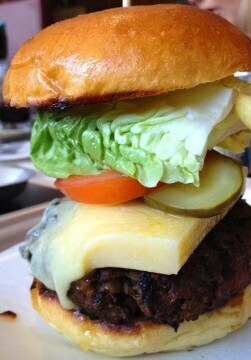 We specialise in prime meat sourced from the top butchers in the country. The meat is lovingly reared, hung and dry aged for an extended period of time to achieve the best flavour and succulence. 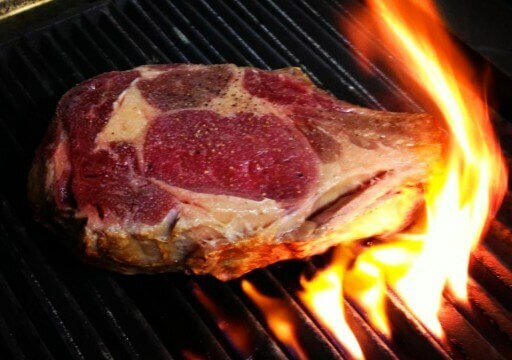 We then carefully flame the steaks and other cuts on our incredible chargrill. Delicious homemade sauces and sides tempt you to accompany your steak to complete your meal. The heaven for meat lovers includes melt-in-the-mouth short and long racks of pork ribs, giant hot dogs, buffalo wings and homemade marinades. The classic steak cuts such as fillet, rib eye, rump and sirloin are so succulent and full of flavour, but it’s the juicy, man-sized steaks that will steal the show – T-bone, Boston Chop, Chateau Briand – authentically chargrilled to mouthwatering perfection. We’ve got a passion for good, honest food at prices that won’t break the bank. Think hearty eating in a welcoming atmosphere. The ambience is friendly and welcoming with the professional, fuss-free service The Shed and The Shack are famous for and our unique booth seating provides you with a special, private dining experience. With vegetarian and fish options, as well as a menu for little people, we’ve got something for everyone. It’s exactly what Falmouth has been waiting for!